The Whitewater Hotel team is committed to your comfort, with 38 rooms, including 12 family rooms, we are able to maintain high levels of service, in a friendly and relaxed environment. Many of the rooms overlook the river and all are en-suite. Full English or continental breakfast is complimentary to all our guests and is taken in our beautiful riverside restaurant, where you may also choose to have dinner. Dining in our restaurant is an experience not to miss. The exceptional menus of local and seasonal produce will provide a feast for all the family. All of our residents are entitled to complimentary use of our Cascades Health & Fitness Club, including the air conditioned gym. 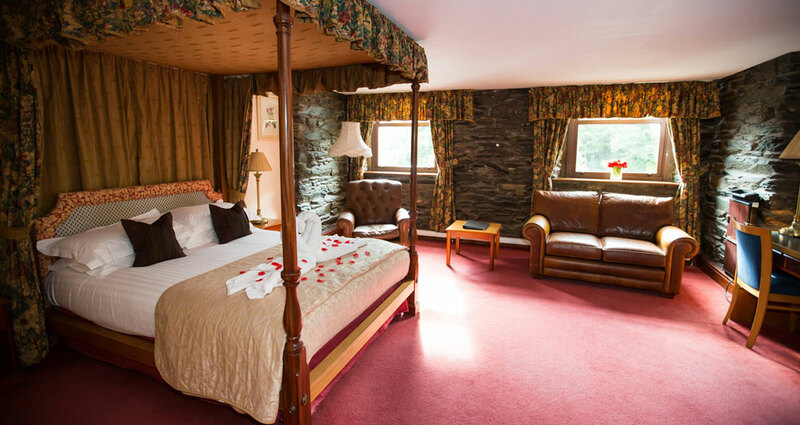 Although our rooms are in the great demand at weekends, we can offer special rates for wedding party guests. Complimentary overnight accommodation is provided for the bride and groom as part of our all-inclusive wedding package. 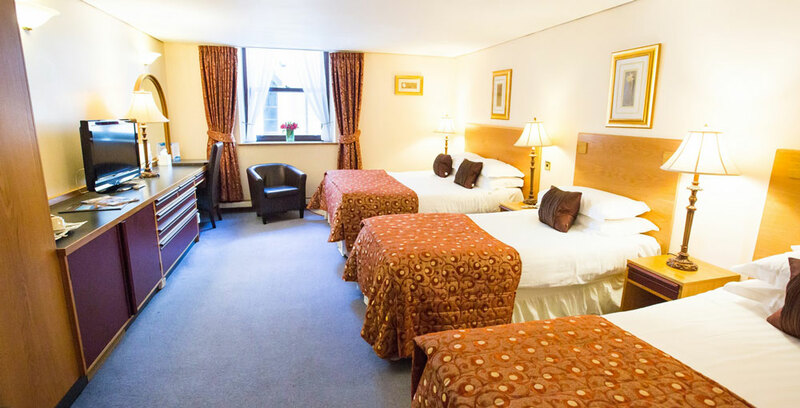 We also cater for guests with special requirements, as we are aware that these vary greatly from one person to another, please contact us and we will offer the room that best suits your particular needs.